Check out this video which looks at the process of harvesting almonds. On this field 2,600 lbs per acre will be harvested. Check out the steps that take place in harvesting and watch how the almonds fall to the ground while the trees are shaking. Here were some interesting points that the video made. Almond harvesting begins with shaking – 2,500 trees per day. On this field they have over 150,000 trees. California produces 100% of the United States Almond Supply and 80% of the World Supply. 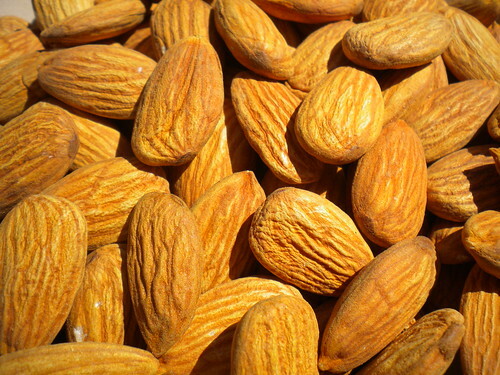 For 2011 Harvest, 1.95 billion pounds of almonds are expected. Dairy Cows also eat almonds. The almonds are mixed into the feed rations to provide fiber in their diet. 1.95 billion meat pounds coming from 750,00 acres.